Home / Skin Care / How to Shrink Pores? Sallie Skin Care Comments Off on How to Shrink Pores? 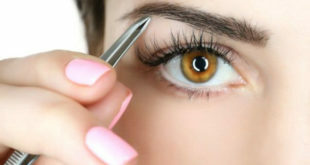 In this article, we will discuss ways to shrink pores. Skin pores are like small pits on the face that appear like an orange peelвЂ”not an attractive image! 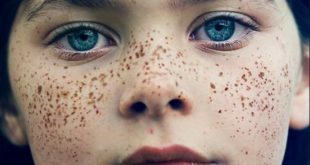 People with oily and mixed skin types are more likely to have visible pores. Large facial pores can be an unsightly as well as frustrating problem to fix. 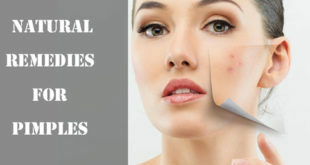 The pores can also lead to complications like blackheads and acne, which mar the way you look. The skin loses its elasticity as you age, making the condition worse. 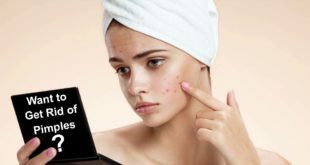 By clogging up your pores further or, worse, spawning breakouts, some harsh treatments, and even some serums can sometimes be counterintuitive. The less you do to your face is better, sometimes because we face is delicate and we never know how we may be damaging it including the pores. Cleaning habits should also be limited in order to do justice to your skin. 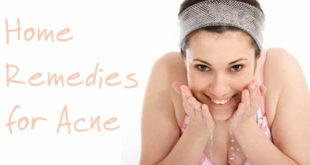 There are many chemical products and skin care products available in the markets today, which claims to shrink pores. But before you opt for anything, В itвЂ™s better to do your researches in order to use a remedy which best suits you. Some simple home remedies work better, sometimes not only to help you shrink pores, but also to give you a glowing and clear skin. For many people, open or large pores on the skin are a beauty concern. These open pores can also contribute to problems like acne and blackheads, especially for people with oily skin. We need our pores. You wouldnвЂ™t be able to sweat and eliminate excess oils otherwise. By damaging the collagen, thereby reducing the elasticity of the walls of the pore canals, prolonged sun exposure can contribute to open pores. Apart from that, there are many other factors available as well. These pores are especially visible around the nose where there are more oil glands. 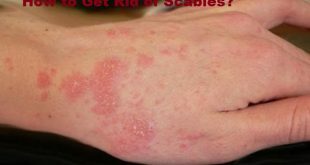 This remedy not only improves your skinвЂ™s appearance, but it also invigorates you. Ice tightens the skin and helps to shrink pores at the earliest. It will also stimulate circulation and promote healthier skin. Infuse the water for ice cubes with cucumber juice, apple juice, green tea or rose water to enhance the benefits of this remedy to shrink pores. It has antimicrobial and anti-inflammatory properties that help treat acne breakouts. Apple cider vinegar tightens your skin, reduces large pores, and restores the skinвЂ™s pH balance. Apple cider vinegar works as a natural astringent and skin toner and helps to shrink pores easily. To benefit from apple cider vinegar, mix equal amounts of organic apple cider vinegar and water. Soak a cotton ball in the solution and apply it to your face. Rinse off after letting it sit on the skin for a few minutes. For best results, use this remedy every night after cleansing your face. Follow up with a light moisturizer. You will notice improvement within a few weeks. Apple cider vinegar has long been used in a lot of skin treatments and helps to make your skin healthier, shinier and naturally glowing within a few applications. It is easily available as well. 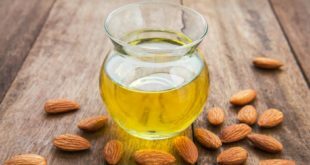 You can also drink some apple cider vinegar diluted in a little water in order to balance the oil levels in your skin and to shrink pores effectively. Egg white masks are also great for drawing excess oil out of greasy skin. Egg whites are also widely used to shrink pores because they tone and tighten the skin. This is an easy remedy to shrink pores naturally because eggs are most commonly available in every house kitchen. In order to benefit from egg whites, whisk an egg white for a few minutes. Now add two tablespoons each of lemon juice and oatmeal to it to form a mixture. Spread it on your face and allow it to dry for 30 minutes. Finally, scrub it off and wash your face with cool water. For best results, repeat twice weekly for several weeks. 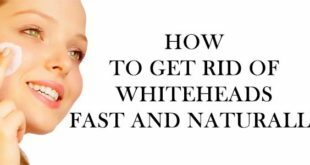 Alternately simply whisk an egg white and spread it evenly on your face. Allow it to dry completely, and then rinse it off. For best results, after applying the egg white, cover your skin with pieces of tissue paper and peel them off when the mixture dries. Do this once or twice a week on a regular basis to shrink pores really fast. This ingredient from the kitchen comes handy to help you shrink pores in a few days time. Baking soda works as a gentle exfoliating agent, removing excess oil, dirt and debris from your skin.В It balances the PH levels of the skin, which is really important to shrink pores naturally. Its mild antiseptic and anti-inflammatory properties help deal with acne, pimples and dark spots most effectively. Here you can simply mix one teaspoon of baking soda with one teaspoon of water or lemon juice to make a paste. Apply this paste on the skin and use it to gently exfoliate the skin. Then wash off with some lukewarm water and pat dry. 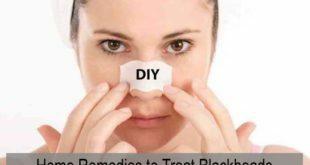 Do this two or three time a week to shrink pores quickly.В Many people have used this remedy and seen amazing benefits on the skin using baking soda. 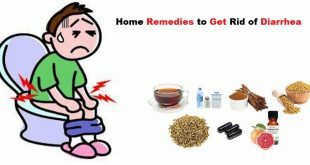 However, try not to overdo this remedy as it can be harmful to the skin if used in excess. In order to exfoliate your skin, remove dirt and make your pores smaller this home scrub works like wonders. It not only helps to shrink pores naturally, but also helps to give you a smooth and glowing skin within a few applications itself. If you want a more therapeutic way for shrinking pores overnight, make yourself a homemade sugar scrub and see how its sweetness does magic to your skin. Simply mix raw organic cane sugar with olive oil at a two-to-one ratio then add several drops of organic lemon juice until you scrub obtains a good consistency. Apply this to the face once every two or three days and wash off after 15mins. Follow up with an application of a good moisturizer and see the effects! One of the most common remedies used all over the world to shrink pores effectively is fullersвЂ™ earth. There is actually nothing better than fullerвЂ™s earth in reducing the excess oil from the skin and helping unclog the clogged pores. Using fullerвЂ™s earth also helps to improve the skin complexion and helps a great deal in making the skin glow. Simply mix equal quantities of fullersвЂ™ earth and sandalwood powder and put a few drops of rose water to it to form a smooth paste. Apply this paste over the skin and let it dry. Wash off with lukewarm water. Do this twice a week for best results. It helps reduce scars and blemishes and benefits sun-damaged skin. It is another useful natural remedy for to shrink pores faster as it absorbs excess oil and exfoliates the skin. Using cucumber is quite common to shrink pores and a lot of people vouch for cucumber because of its cooling properties and high content of water in it. It contains excellent hydrating, nourishing and astringent properties that are very good for the skin. It also helps to repair damaged skin cells and adds a fresh glow to the face. Here simply cut a cucumber into thin slices and then rub them all over your face. Let it be overnight, in the morning wash your face with some lukewarm water. You can also mix a little lemon juice with cucumber juice and apply this to your skin. Leave for about 20 minutes and then wash off with lukewarm water. These remedies really work to help you shrink pores really quickly. Cucumber is a natural astringent and shrinks open pores. It also refreshes the skin and gives it a new glow. Moreover cucumber is most easily available in everybodyвЂ™s home, and therefore you donвЂ™t need to make much of an effort to practice this remedy in order to shrink pores. It is one of the most effective remedies for shrinking pores and helps to heal your skin really fast. Lemon has amazing acidic properties which help to repair the skin cells and help to remove all kindsвЂ™ of dark spots and blemishes from the skin as well. 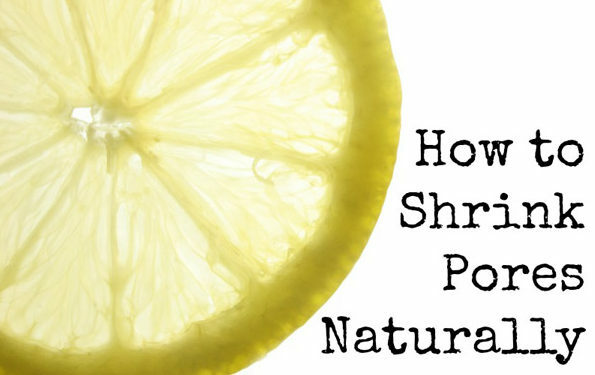 Every use of lemon helps to shrink pores naturally. Mix one teaspoon of organic honey with the juice squeezed from one lemon. Now apply this runny paste on your skin with the help of a soft brush or cotton ball. Let it sit for a few minutes before rinsing it off with normal water. Do this daily at least for a month. Do this every single day without fail. You can also make some ice cubes out of the lemon water and rub the cubes on your skin. This will help to provide you a lot of relief and help to soothe the skin to a great extent. A combination of one teaspoon each of lemon juice and cinnamon powder also works fine. Let it sit for a few minutes. Repeat daily for at least a month to shrink pores really quickly. Oatmeal has proven to be really effective in relieving a number of skin problems and allergies; it really works well on the skin. Oats help a great deal in smoothening the skin and are one of the best home remedies to shrink pores easily.В Oats act as a moisturizer and prevents dehydration by strengthening the epidermal barrier of the skin. Nothing works like oatmeal to exfoliate the skin and hence remove excess oil and dead skin cells that make open pores enlarge in size. In order to make this mixture, mix together five tablespoons of honey, two tablespoons of milk powder and two tablespoons of oatmeal to form a smooth paste.В Slather this mixture on your face and gently rub it in circular motions. Let it sit for sometime on the face. Now gently scrub it off before washing your face. Repeat once or twice a week on a regular basis to shrink pores easily. ItвЂ™s important to use plain yogurt here rather than a flavored one if you want to extract the maximum benefits. 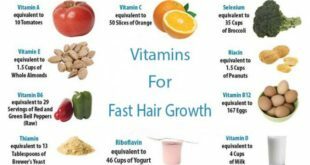 Yogurt is one of the best remedies to shrink pores completely and it helps to stimulate the healing process as well besides being soothing to the skin. It has long been used for a lot of skin treatments as well. 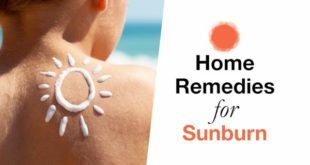 When you find yourself red and sunburned, it can help you recover faster. There is an abundance of probiotics and enzymes that help to heal your skin when you use live cultured plain yogurt. Here simply take ВЅ cup of plain cultured love yogurt. Apply cool yogurt directly to your burn, and let it sit for at least 5 minutes but first wash your hands. When the pain has subsided, gently rinse it off with cool or tepid water. Alternately add one tablespoon of gram flour (besan) to two tablespoons of plain yogurt. Apply this paste on your face. Leave it on for 15 to 20 minutes. Finally, wash it off with cool water. Do this two times a week for about a month to shrink pores effectively. 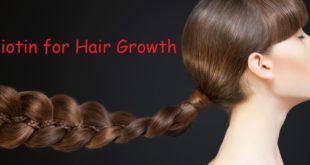 For getting rid of unwanted hair Gram flour is also considered beneficial. This wonderful red tomato is rich in lycopene, a carotenoid with powerful antioxidant capacity and that makes it ideal for any kind of skin ailment. Just apply some natural tomato juice on your affected area and leave it on the skin for some time before washing it off. Some highly reactive particles called free radicals are formed as tissue damage takes place in the skin. You can also take 2-3 pods of garlic and ВЅ a tomato. Grind both the ingredients. Now use this mixture to apply on your skin in a thin layer. Rinse off with lukewarm water after letting it sit for a few minutes. Finally, splash the cold water to shrink pores really fast. This helps to neutralize the tissues with antioxidants otherwise they will keep damaging the skin even more. TomatoвЂ™s richness in antioxidants is great for the skin and also helps to protect the skin repairing the skin cells. Not only for facial flushing, but also for many other types of skin diseases Aloe Vera is a potent natural treatment one can avail of. Polysaccharides, which are abundant in the gel of the aloe Vera plant, are responsible for most of its therapeutic purposes. Aloe Vera gel has been used for many years as a skin salve. One of these is the ability of aloe Vera to treat skin problems and reduce inflammation. To benefit from aloe Vera, wash your face with warm water and slice Aloe Vera leaf and squeeze out the gel. Apply a thin layer on your face. Let it dry before rinsing with cool water. You can repeat this treatment twice or thrice a day as it is one of the best remedies to shrink pores naturally. To unclog pores and make them look smaller products that contain retinol have been known to be effective. 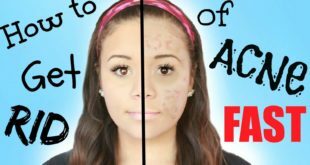 Accutane shrinks the oil gland, physically making the pore smaller. It will return to its original size once you go off the medication. In-office laser treatments permanently shrink pores. DonвЂ™t use oil-based skin products. When buying skin care products buy the ones which are вЂnon-comedogenicвЂ™ (check the label), which means they wonвЂ™t clog pores on your skin. They will further reduce the size of your pores as these two acts in a cleansing way if they contain zinc and magnesium. Enjoy a home facial steam once a week to open the pores and sweat out impurities. To inflame your skin and clog pores eat healthy and avoid processed foods. 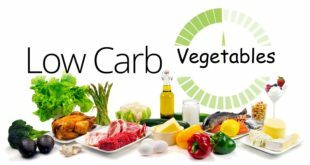 Embrace a diet full of fruits and veggies and give unhealthy fats and oils a wide berth. DonвЂ™t overly expose yourself to the sun. Use a good quality sunscreen and wear a hat. The sun is also one of the top 10 causes for premature aging of your face. Always remove makeup before going to bed. Oil cleansing can also help rejuvenate your skin to a great extent. 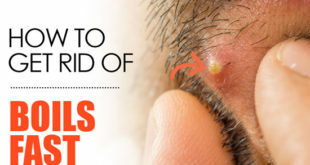 Previous How to Get Rid of a Cyst? Next How to Lose Water Weight Fast?